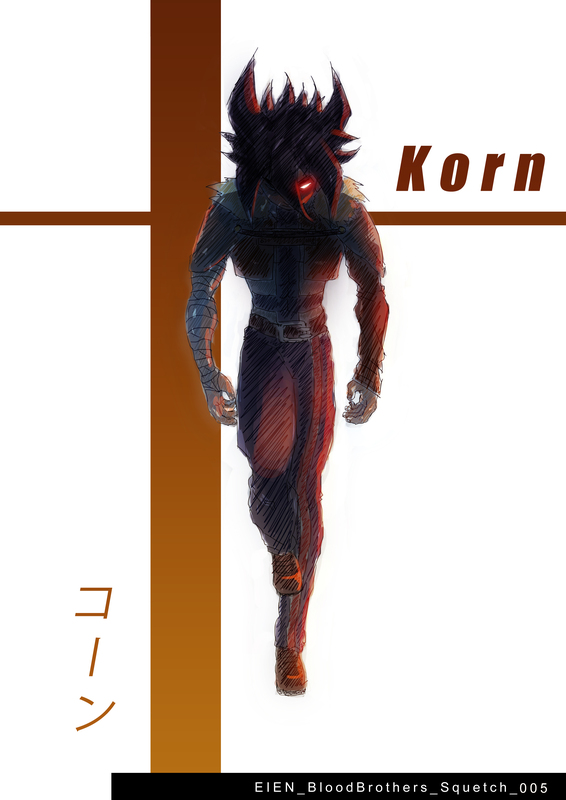 Korn used to be a human being, but after a brutal death, part of his soul went to hell. At this point you might already wonder about things like “why the hell did he become a demon?” what the hell did he DO to become a demon? and most of all, what is his goal?”…but wait…you’ll figure out soon enough! What I can tell you now is that Korn is going to be one of the two main foes that Shin and Kyu are gonna fight. But what if I told you that Korn is also going to be a great ally? ?